Our first ever Garden & Gun ad has just come out! The newest issue of this fabulous magazine (all about the best food/art/interiors/music/sport/travel the South has to offer) is a GREAT one. 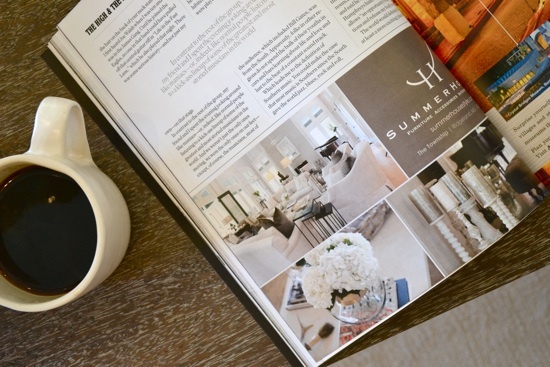 We’re excited to be in the pages of this publication amongst some of the South’s hottest! Take a minute to flip through and please come back and let us know what you think of our ad (which is on page 68!) And for more photos from the interior featured in the ad (designed by Elizabeth Gullett), go to this page of our website!